Obi Enechionyia had 22 points and 12 rebounds to lead Temple to an 81-77 upset of No. 19 West Virginia in the championship game of the NIT Season Tip-Off on Friday. Obi Enechionyia made Dunk. Assisted by Daniel Dingle. Obi Enechionyia made Dunk. Assisted by Shizz Alston Jr..
Shizz Alston Jr. missed Layup. Obi Enechionyia missed Two Point Tip Shot. Mark Williams missed Two Point Tip Shot. Mark Williams made Two Point Tip Shot. Alani Moore II made Layup. Assisted by Shizz Alston Jr..
Obi Enechionyia made Three Point Jumper. Mark Williams made Jumper. Assisted by Obi Enechionyia. 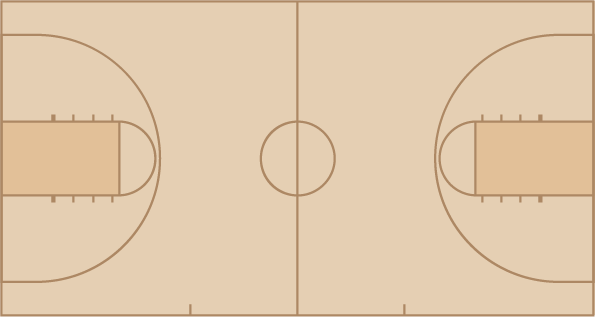 Obi Enechionyia made Three Point Jumper. Assisted by Daniel Dingle. Alani Moore II made Layup. Alani Moore II missed Three Point Jumper. Shizz Alston Jr. made Jumper. Assisted by Alani Moore II. Obi Enechionyia made Three Point Jumper. Assisted by Shizz Alston Jr..
Alani Moore II made Three Point Jumper. Daniel Dingle made Three Point Jumper. Assisted by Alani Moore II. Daniel Dingle made Three Point Jumper. Assisted by Shizz Alston Jr..
Alani Moore II made Three Point Jumper. Assisted by Quinton Rose. Shizz Alston Jr. made Layup. Assisted by Alani Moore II. Quinton Rose made Dunk. Assisted by Obi Enechionyia. Daniel Dingle missed Three Point Jumper. Quinton Rose made Jumper. Assisted by Daniel Dingle. Jevon Carter made Three Point Jumper. Assisted by Nathan Adrian. Nathan Adrian missed Three Point Jumper. Tarik Phillip missed Three Point Jumper. Brandon Watkins made Jumper. Assisted by Daxter Miles Jr..
Nathan Adrian made Three Point Jumper. Assisted by Daxter Miles Jr..
Teyvon Myers made Layup. Assisted by Esa Ahmad. Esa Ahmad made Layup. Assisted by Nathan Adrian. Tarik Phillip made Three Point Jumper. Brandon Watkins made Dunk. Assisted by Daxter Miles Jr..
Teyvon Myers made Three Point Jumper. Assisted by Elijah Macon. Tarik Phillip made Layup. Assisted by Jevon Carter. Jevon Carter made Three Point Jumper. Assisted by Esa Ahmad. Esa Ahmad made Three Point Jumper. Assisted by Jevon Carter. Daxter Miles Jr. made Three Point Jumper. Assisted by Tarik Phillip. Elijah Macon made Dunk. Assisted by Esa Ahmad. Nathan Adrian missed Two Point Tip Shot. Nathan Adrian made Two Point Tip Shot.